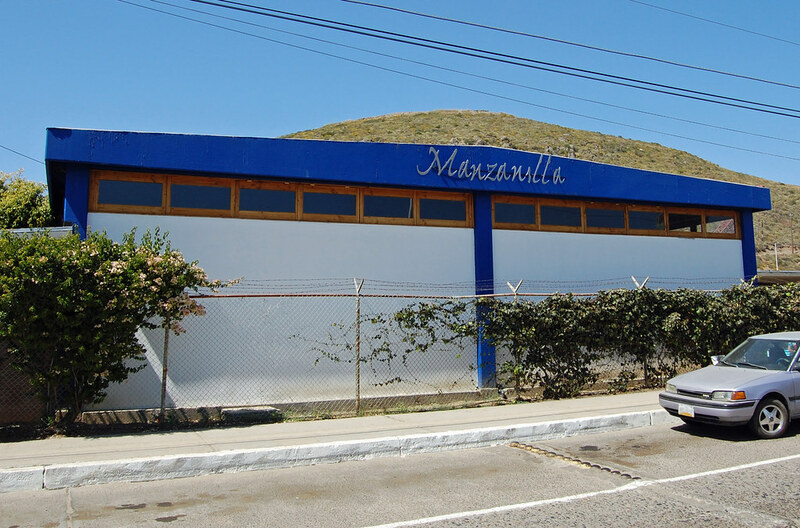 Manzanilla represents the best of Baja’s Gastronomic Movement. Fresh local seafood combined with the best local and regional ingredients and food products prepared in innovative fashion. Combine the artistically crafted dishes created by Chef/Owner Benito Molina with some of the best wine offerings coming out of Ensenada’s Valle de Guadalupe and you can see why Manzanilla has fast become the place to be for food and wine lovers. One thing I have noticed in my travels is things happen later in Mexico, for example, it is not uncommon to find people going out to dinner after 8 or 9pm. On a typical late Saturday evening you will find Manzanilla filled with a lively, upbeat and friendly crowd in a vibrant yet relaxed, cozy setting. Every time I’m inside Manzanilla I feel totally immersed in the environment. 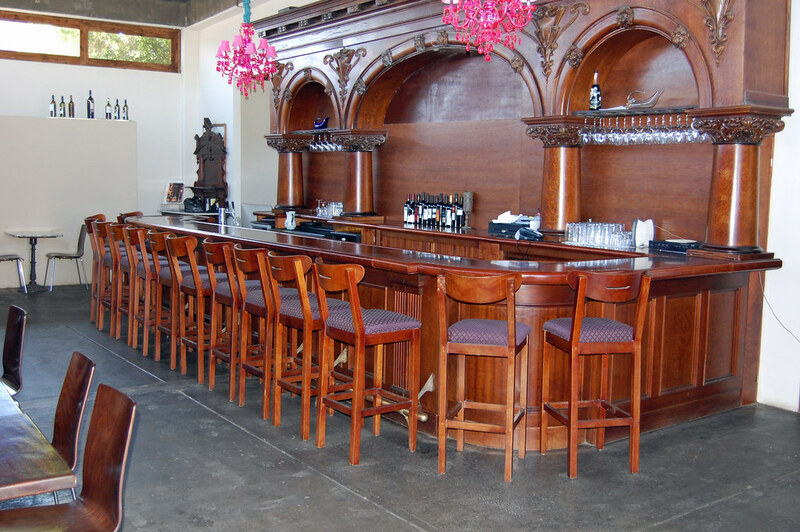 The focal point of the decor is a magnificent wood bar. The Art is selected by Benito and features local Mexican artists. 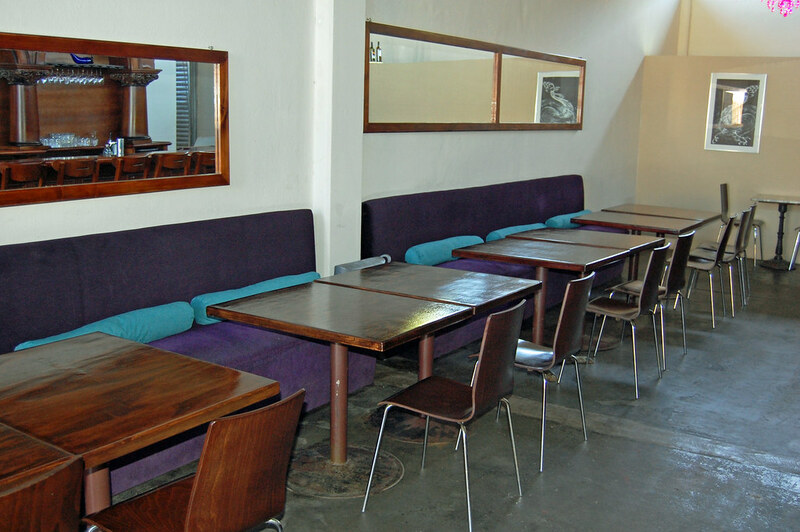 The dining area is still evolving, however Manzanilla has already developed great character. 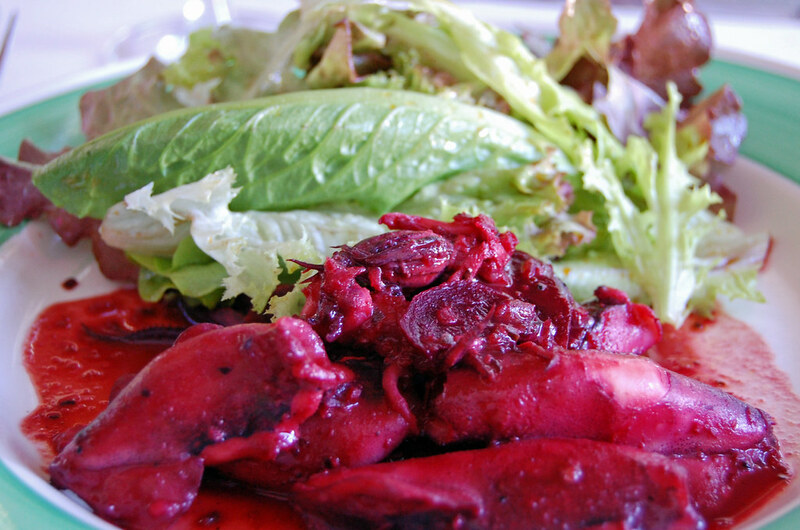 Calamares Manches a perfect blend of squid, beets, herbs and spices. The Risottos here are amongst my favorite dishes at Manzanilla. 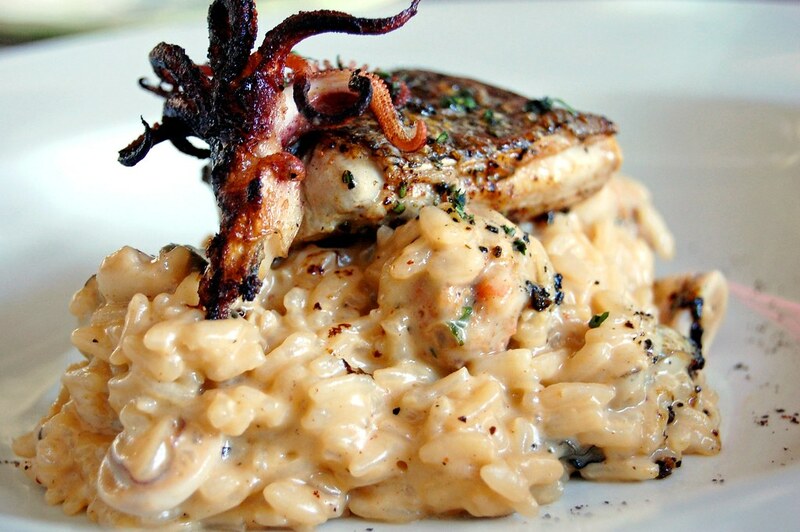 Pictured is the Risotto de Mar perfectly prepared creamy risotto blended with various local seafood and cheeses topped with yellowtail and babysquid. 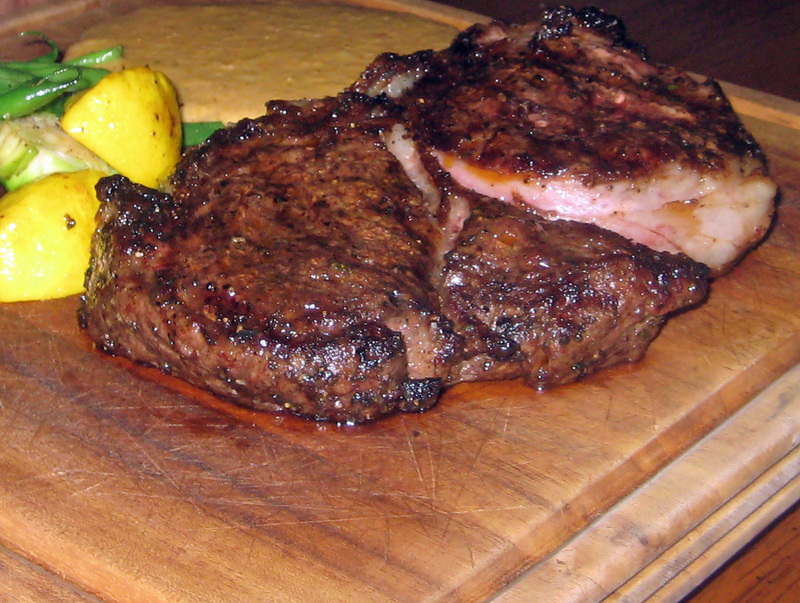 I'm at loss for words for the aged Sonoran Rib Eye steak, I will let the picture do the talking. Every time I have had a Tiradito de Pescado I have been suprised with a new flavor combo. I would have to say this combination was the best. 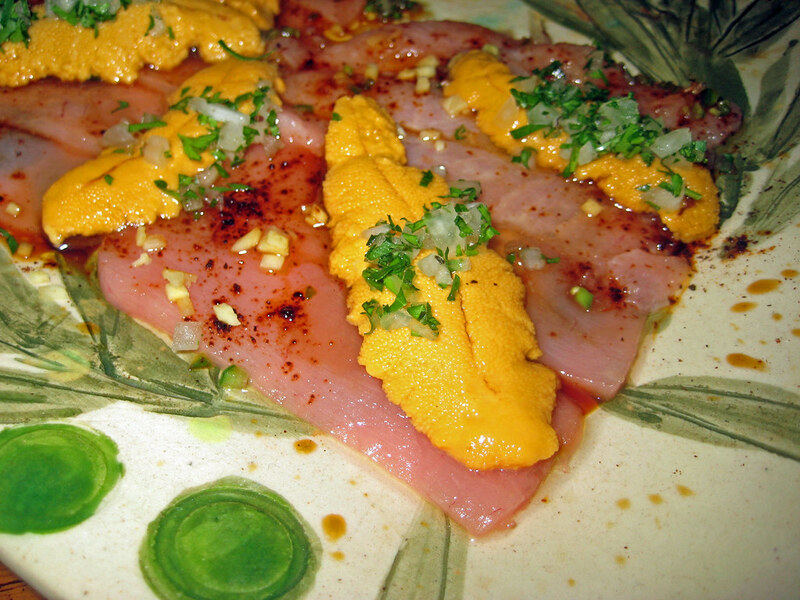 Light, sweet, and somewhat briny flavor of the Sea Urchin complemented by the rich, tender, and buttery Toro (Tuna Belly), whats not to love? I love hearing a story behind my meal and one thing that's great about Manzanilla is chances are someone in the dining room was involved with your meal in one way or another. A few weeks ago I met the purveyor of the oysters. 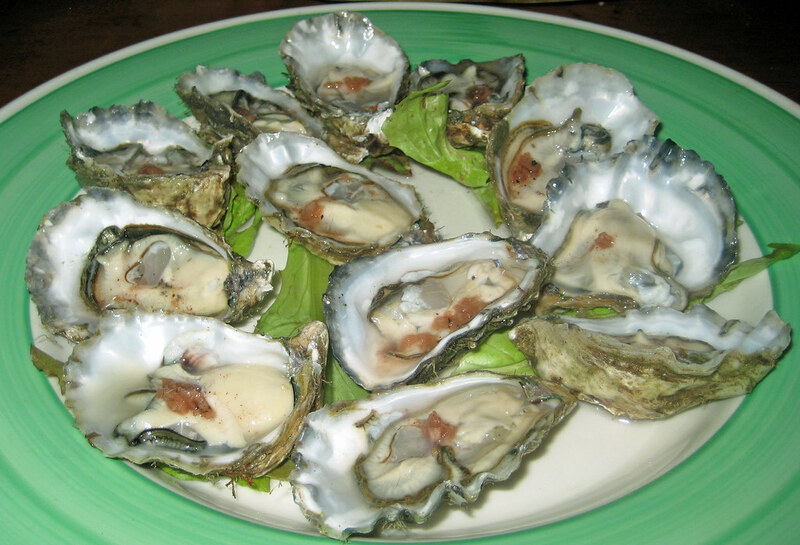 The wonderful oysters I had that night were Japanese Kumamoto Oysters pulled from San Quentin Baja. The little plump guys were firm but yielding, creamy, buttery, and sweet. Kiss the Sea. Save room for dessert they have a choice of Chocolate Souffle, Creme brulee, and Mousse of the day. The wonderful Cascada de Chocolate (Chocolate Souffle) is my guilty pleasure. This weekend I was delighted to try a new creation by Señor Molina, Thinly sliced Deer laced with fennel from the garden outside, and Yucatan chilimole sauce, all I can say is WOW. Come experience the Culinary Movement in Baja, the possibilities are endless. Wow I can't believe I missed that place when I traveled down to La Buffadora. 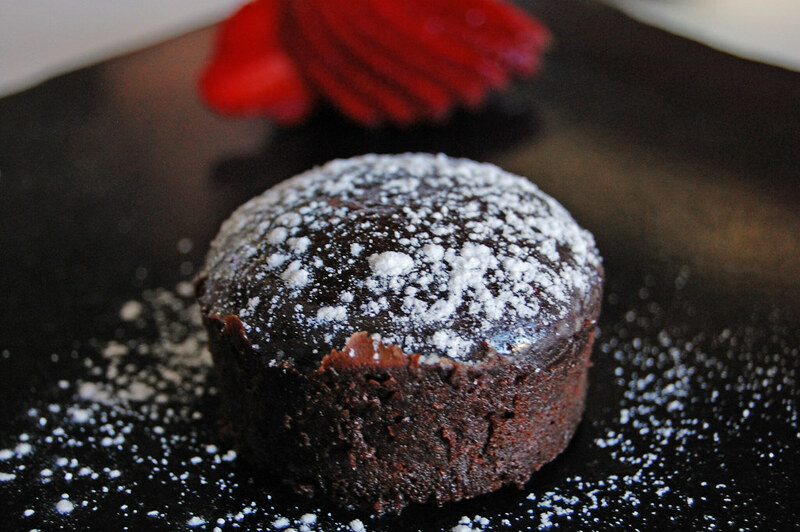 Yo soy de Ensenada, y tambien soy adicta a ese delicioso Souffle de Chocolate. Bill/ not sure when you last went to Buffadora but the new Manzanilla has only been open 4 months. An1/Thanks yeah the I wish I would have snapped a pic of the deer. Adriana/ Si Souffle de Chocolate es muy delicioso!!! Nice review and pictures once again. Do you do business down there or have family down there? Seems like you are down there alot....which is good because you get to show us all the places ;-). Im meeting some coworkers down at La Fachada tomorrow to introduce them to some real tacos! They have never been before so they should love it! Hope your weekend is going well so far! Thanks Tim, No I dont work down in Baja I just love the food, and of course I have met some great people also. I love La Fachada your co workers should enjoy it. Speaking of tacos I just dropped a taco write-up check it out. Hi Massa Assasin!, First time here @ your blog, Nice Job. 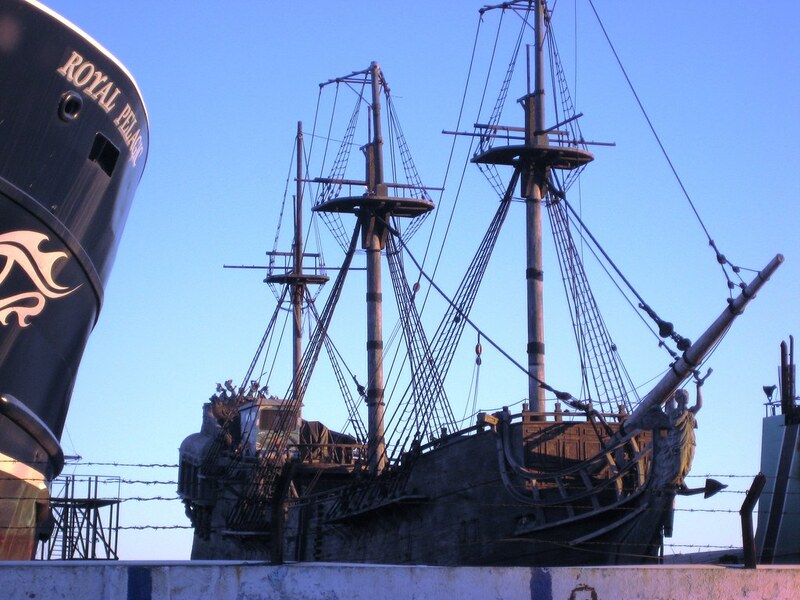 Just want to add something about the pic of the old boat at the bottom, belive it or not, is the Black Pearl- from Pirates of the caribean (Y)!. just a small correction...Manzanilla Calamares are called "Calamares Manhes"....very nice reviews...see ya soon...and salud..
Great writing! I have to agree with you, this is a wonderful restaurant. It's been over a year since my last time there, and we were amazed with the food, wine, service and prices. I'm from Baja, and my girlfriend and I took some friends from Venezuela & Colombia, and really enjoyed everything. By far, my fav restaurant in Ensenada, and probably Baja.